Stretch marks are considered one of the most common beauty concerns which can develop in both men and women as a result of sudden changes in body size. They appear as pink, red or purple marks on the skin which will fade to a thin silvery white or gray color overtime. Usually they are caused by the stretching of skin that results in dermal layer tears. Although these may heal, the collagen fibers will fail to align properly and leads to stretch marks. The main reasons for this skin condition are sudden weight gain or weight loss, pregnancy, usage of certain medications, stress, rapid changes in body structures, heredity, etc. The belly, thighs, hips, lower back, breasts, legs, spine, buttocks and upper arms are the common places which are more prone to develop these stretch marks. These stretch marks can not be removed completely but they can be lighten up by using lemon. Does Lemon Juice Lighten Stretch Marks? Lemons are the best home remedy for treating stretch marks. It is very effective for lightening the colour of the marks and speeds up the natural fading process, plus it doesn’t have any side effects. Lemon helps to exfoliate the skin to remove the dead skin cells. It is a natural acidic fruit that strip away the dying skin cells and has enough moisture to help hydrate the skin. It has bleaching property which helps to bleach the skin to reduce the redness. It is rich in various nutrients which are very beneficial for treating any skin problem by promoting the re-growth of skin cells. It has anti-oxidants that help to fight against the free radicals damaging the skin layers. It contains alpha hydroxy acids that help in stimulating the collagen production, exfoliates the skin and also promotes the growth of new skin cells and blood vessels. It is rich in vitamin C or ascorbic acid and citric acid that lighten the stretch marks. This helps in building up the collagen in the body which repairs and lightens the stretch marks. Dip a cotton ball in freshly squeezed lime juice. Dab it on the stretch marks. Massage gently in circular motions for few minutes and allow it to dry naturally. Leave overnight and wash it off in the morning. Add a little water or rose water to the mixture if you have sensitive skin. You can also add aloe vera gel or juice with lime juice and apply. Or you can directly rub lemon slices on stretch marks. Mix equal quantities of freshly lemon and cucumber juice. Apply on the stretch marks with your finger tips or a cotton ball. Mix 2 tablespoons of fresh lemon juice and ½ cup of cocoa butter. Rub gently in circular motion to spread this mixture. This process is very effective for the people those who have sensitive or dry skin. Mix 1 teaspoon of fresh lemon juice, 1/2 teaspoon of almond oil and 1 teaspoon of sugar. Apply this mixture on stretch marks and rub it gently for at least 10 minutes. Follow this process daily before taking shower for no less than a month. Mix 1 teaspoon each of vitamin E and olive oil and ½ teaspoon of fresh lemon juice. Apply this mixture on the stretch marks and allow it to dry. Do this process for twice a day for at least a month. Mix fresh lemon juice and aloe vera gel or olive oil. Continue following this process regularly. Mix fresh lemon juice, turmeric powder and saffron together. Apply this on the stretch marks especially on the stomach. Leave for a few minutes to dry thoroughly. This process helps to lighten up the dark contrast of the marks on the stomach. Wash it off with water and pat dry the skin dry. Mix equal quantities of fresh lemon juice and potato juice together. Apply this juice on the stretch marks with the help of a cotton ball. Rinse off with lukewarm water and apply regularly. Note: You can replace potato juice with tomato juice. Mix f1/2 teaspoon of resh lemon juice and 1 tablespoon of baking powder to make a paste. Apply this paste on the stretch marks and allow to dry naturally. Use a cloth to scrub the paste. You can also add turmeric to the paste. Take vitamin E oil from a vitamin E oil capsules into a small bowl. Add a few drops of lemon juice and stir well. Apply this directly on the stretch marks and allow it to dry for a few minutes. If you have sensitive skin, use some rose water and mix it well. Continue this twice a day. Add 1 teaspoon of extra virgin olive oil and stir well. Massage gently for a few minutes and allow it to dry naturally. Mix a few drops of lemon in avocado paste. Leave for 15 – 25 minutes and then wash off with warm water and pat dry. Mix raw, organic honey and few drops of lemon juice. Leave it for a few minutes so that the skin will absorb the vitamin C, moisture and other compounds. Applying glycerine with lemon is one of the effective methods for treating stretch marks. Cut a lemon in half and add a few drops of glycerine on it. Rub this lemon on the stretch marks, moving in circular motions. Leave for a few minutes and wash it off. The process of mixing turmeric with lemon juice is very good remedy for treating pigmentation and stretch marks on the skin. Mix lemon juice and turmeric powder into a fine paste. Apply this on the stretch marks and leave for about 15 – 20 minutes. Mix fresh lime juice and oatmeal together to make a paste. Let it sit for about 15 – 20 minutes or until the paste dries. Shower to remove the applied paste. Cut a lime in half and sprinkle salt over it. Rub it on stretch marks for about 2 – 4 minutes and then wash the lime. Now pour some sugar in the lime and rub it on the stretch marks. Do the same process with milk / cream and let these applied mixture sit on the stretch marks for few minutes until it dries completely. Repeat the same process for at least 2 weeks. 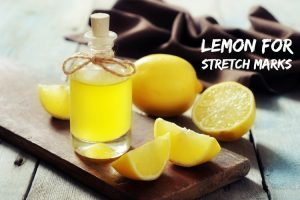 The following are some tips and precautions about using this lemon juice for treating stretch marks. Lemon juice can be applied either directly on the marks or it can be added to other skin care products like moisturizers or body lotion. For pregnant women, they can use lemon (a natural extract) in the form of creams that are available in market as a preventive step. Never apply this lemon or lime juice before lying in the sun or tanning. If you develop stretch marks for no reason you can see, check with your doctor to determine the cause. You can also use lemon juice skin wraps that are mixed with baking soda to get rid of stretch marks, scars and imperfections. Make sure to apply moisturizer after applying lemon juice on the skin to prevent dryness. Also exfoliate the skin before applying this lemon juice will help a lot in clearing the dead and dull skin cells. 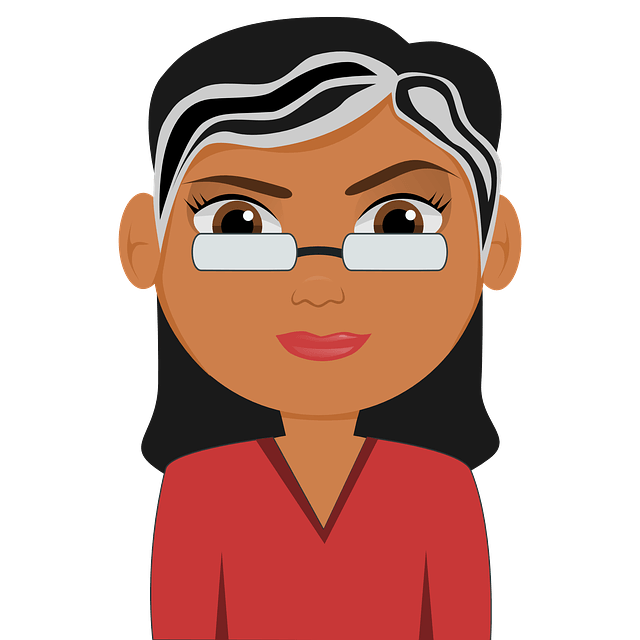 Don’t forget to share your experiences with us! Will lemon juice from a bottle work just as well or does it have to be freshly squeezed? Thanks! Bottled lemon juice should also work fine but freshly squeezed one provides more effective results. Sorry, but it is impossible to remove stretch marks in a day with home remedies. Is this remedies useful for white old stretch marks ……or we can apply only one method at one time or we can usr 2-3 method on the same day…. Yes, you can. For example lemon with salt, sugar, milk (method mentioned above) can used during bath, lemon with vitamin e oil can be used before going to bed. Good luck! Don’t forget to share your experience with us. Plz,what’s d best home remedies for stretch marks on buttocks? You can try any of the methods mentioned above in the article as per your convenience. Apart from that don’t scratch the stretch marks, drink plenty of water, apply moisturizer daily and exfoliate regularly. hi . how many days or weeks ? to see the result . . i used it for almost a week . Stretch marks are very stubborn it takes months of application to reduce their appearance. Exact time frame is difficult to mention as everyone’s skin and healing capacity is different. so keep trying the treatment regularly with patience. Apart from that, exfoliate 2 -3 times a week and moisturize the stretch marks daily. Natural moisturizers like coconut oil, shea butter or cocoa butter provide better results than commercial ones. Yes, it will help. Apart from that should exfoliate and moisturize regularly. Just want to start d method of lemon nd honey……Is it gonna work for me???? Yes, it can. Try it regularly as mentioned in the article. Apart from that exfoliate and moisturize the stretch marks regularly. I have some severely deep stretch marks on my inner thighs. I’ve had them for a long time and have always been embarrassed by them. I have brown skin and the marks are paler than me. Which method do you recommend??? You can try any method mentioned in the article as per your convenience. Apart from that exfoliate and moisturize regularly. Can I mix lemon juice with my body cream and rub it daily? Is it safe and effective? You can mix lemon juice and body cream before rubbing it on your skin. As lemon makes the skin photosensitive, we don’t recommend its application in the morning times. It is better to apply the mixture before going to bed. Yes, lemon and baking soda combination helps to reduce the appearance of stretch marks. However, note that stretch marks are very stubborn and take a long time to reduce. So, we recommend trying the methods regularly without fail for achieving the results. Yes, you can. Bio oil has amazing properties of reducing stretchmarks, scars and also lightens the skin. Stretch marks cannot be reduced completely but we can lighten them to maximum extent. All the remedies mentioned in the article are effective in lightening the stretch marks. Choose any one as per your convenience and try it regularly as mentioned. Apart from that, exfoliate 3 times in a week and moisturize with coconut oil, shea butter or cocoa butter daily for effective results. Pls can u explain what exfoliate and moisturize mean in a simple English and how to?And secondly I have old stretch marks on my breast which bitters my heart every day please can I use d method of sugar lemon salt and milk and what kind of milk is like all ds milk we drink? Exfoliate means removing the dead skin cells and other impurities on the skin by using any scrub like lemon and sugar. Moisturize means apply any moisturizer (preferably natural one) on the area to retain moisture and prevent it from drying up. You can use sugar, lemon, salt and milk methods to reduce the appearance of old scars on your breasts. You have to use regular raw milk that we drink for the remedy. Everything was fine… But then I started doing some extra pushups and workout… The result?? Good muscles but some stubborn stretch marks as an unwanted gift. These marks embarass me everywhere and prevent me from removing my shirt… School picnic comming up in 15 days to a water resort and I just cant afford hiding my hardwork and have fun due to these stretch marks…. Will mixing honey, natural aloe vera and lemon with moisturiser help?? Should I apply these only while sleeping at night due to the photo pigments in lemon as you mentioned above? Stretch marks are very stubborn and take a while to lighten. So, be patient and try it regularly without interruption. The mixture of honey, natural aloe vera and lemon with moisturizer can be helpful to lighten them. Yes, you can apply it before going to bed. Does this also mean I should stop working out?? can I mix coconut oil,cucumber,aloe Vera gel, egg, lemon juice, avocado pear, olive oil, vitamin E oil,and honey together for a cream . I started using raw lemon on my stretch marks but it stratches me each time… is it supposed to be that way? Can I mix glycerine cream and lemon to run the skin? For How long? Yes, it is ok. You have to repeat the application once in 2 days. The time period depends on your skin texture, healing capacity and other factors. If we use the baking soda and lemon juice remedy do we have to wash it or leave it after rubbing with the cloth? can I mix lemon,almond and sugar to my cream if I want? Nope, avoid combination natural ingredients with chemical creams as we don’t know how its reaction will be on the skin. Applying only lemon on my stretch mark. What am using now is just lime not lemon or must it be lemon? You can use lime instead of lemon. I am using lemon and bio oil…should we have to wash it off after massage? Im pregnant and im in my first trimester. Is it bad to use any of that while im pregnant? What about ground coffee and aloe vera while pregnant? Can lemon juice affect the baby by applying it on the skin while pregnant? If all that are dangerous while pregnant, can i use it on my arms and my inner thighs? And leave the tummy? if I mix the Castor oil and lemon they remove stretch mark?